While grown-ups read timeless rhymes from Mother Goose, little ones can cuddle with the goose. Designed in the UK, plush goose (HX3922) is impossibly soft and fluffy. 100% polyester. About 19" high. Hand wash. Ages 1 and up. 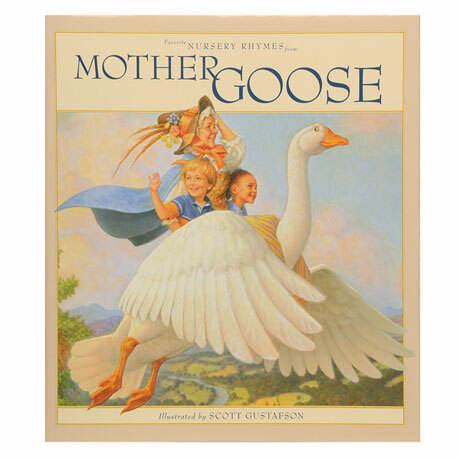 Hardcover book (HX3932) features 45 classic rhymes and Scott Gustafson's fantastic full-color illustrations. 100 pages. Sold separately.